The horse in question is a 30+ (?) 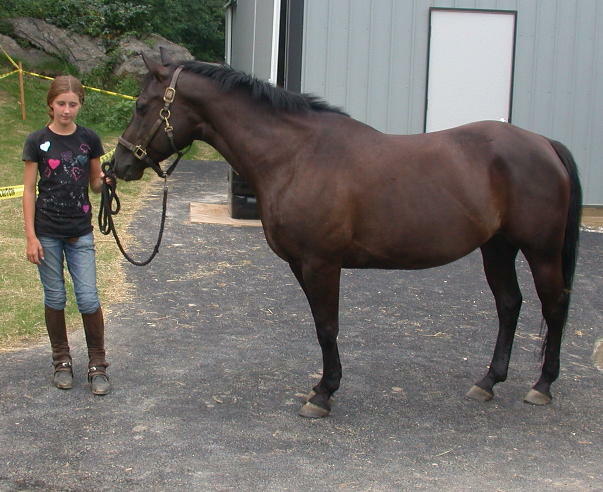 yo neglected (starvation) rescue case. 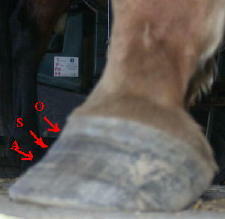 Overgrown bars can lead to a variety of problems, such as exerting pressure on the hoof wall which causes it to crack. 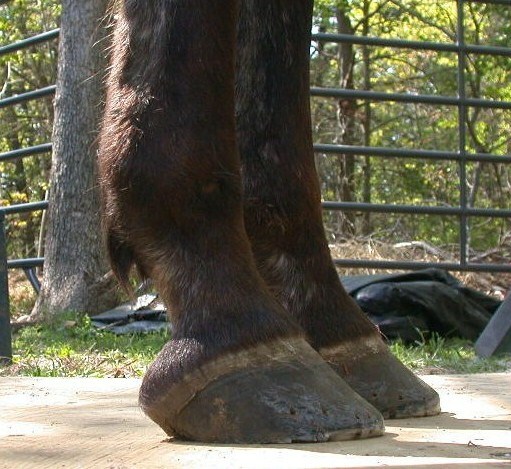 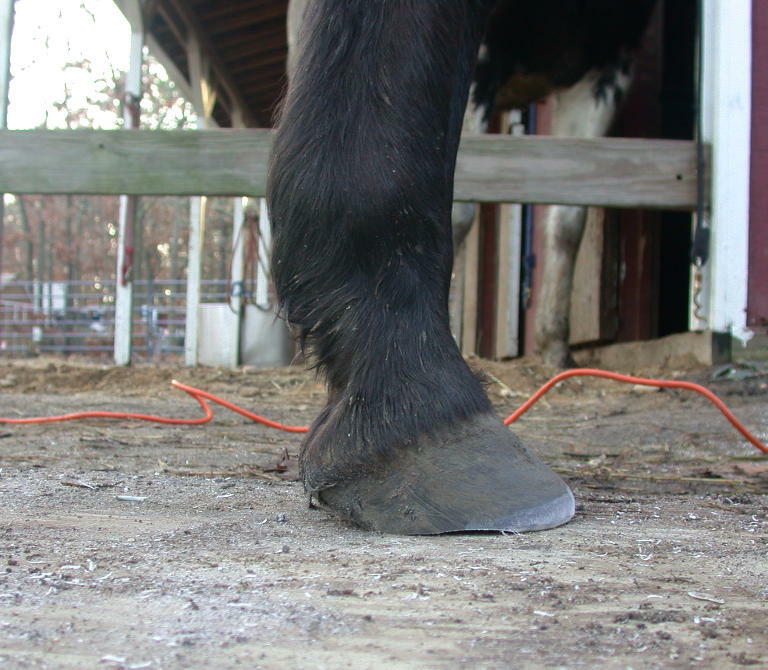 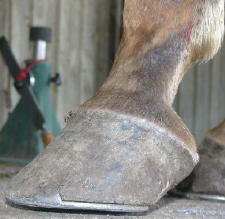 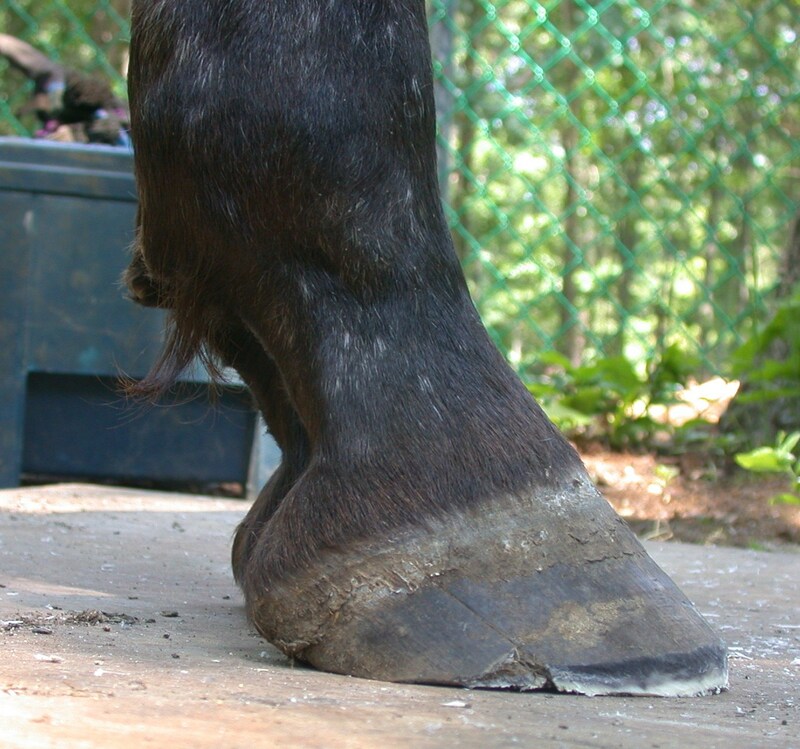 The Right Hind hoof has a crack starting at the lateral toe quarter which began with an abscess. 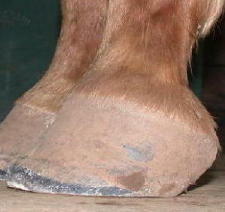 (As seen here). 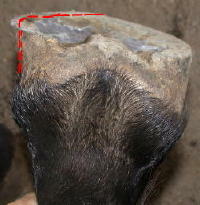 Both bars are too long, grown above the height of the frog preventing it from being weightbearing. 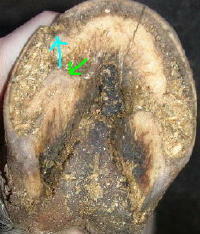 The lateral bar has extended almost to the frog’s apex and overlaid onto the sole. 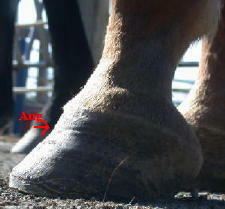 At the green arrow it is raised above the sole by at least 1/4″. 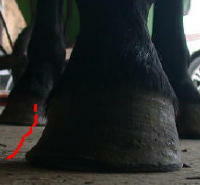 The furthest point of the bar (where the blue arrow starts), exerts pressure on the wall when the foot is weightbearing, in the direction of that arrow and splits the wall apart. 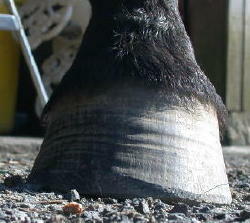 The underrun heels also contribute to the problem. 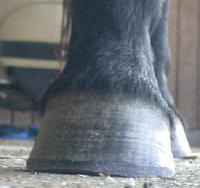 To correct the problem, the bars have been shortened and brought back approximately to the frog’s midpoint, the heels have been lowered and brought back to the widest point of the frog, and the toe has been backed up. 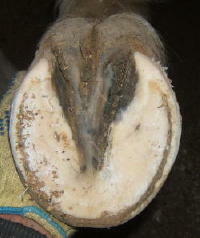 These changes will allow proper forces to be exerted on the hoof capsule allowing the crack to grow out. 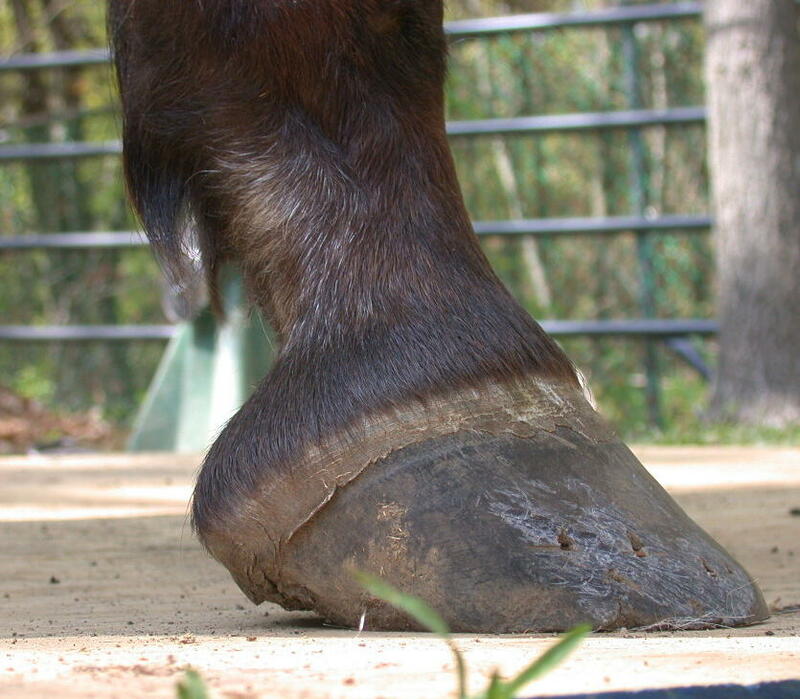 Healthy laminae are vital in preventing founder. 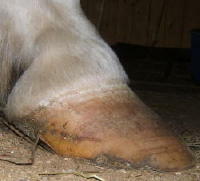 The health of the laminae is determined in part by their length. 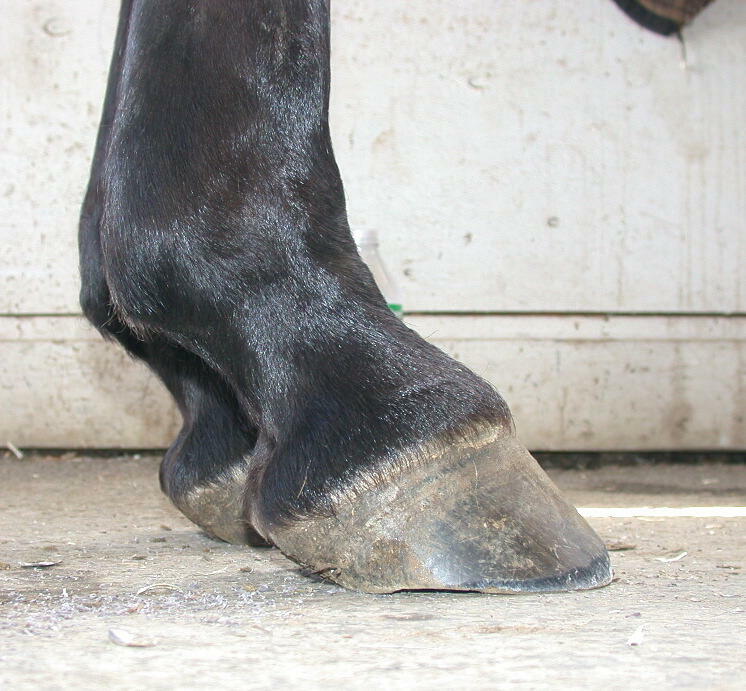 The shorter they are, the more tightly they connect the coffin bone to the inside of the hoof wall, because they are not ‘stretched out’. 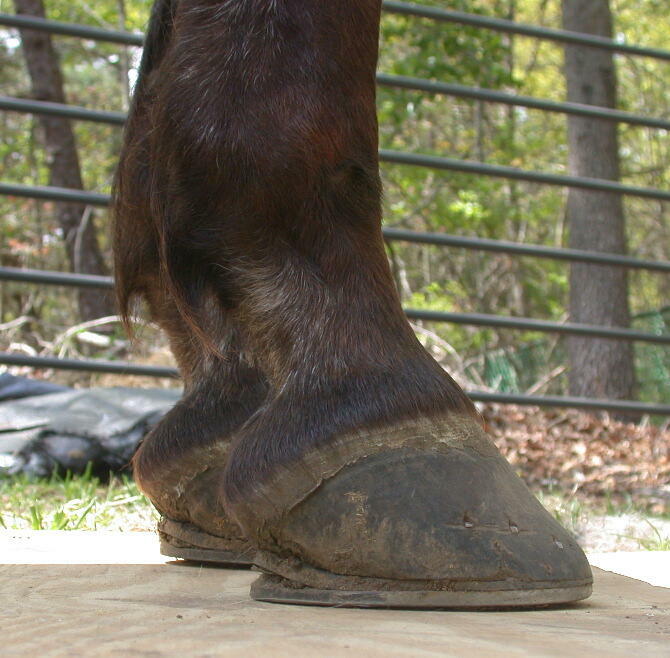 Their distance is measured horizontally from the coffin bone to the inside of the hoof wall. 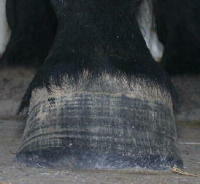 On the sole view, they appear as a narrow, tight, healthy white line with no separation. 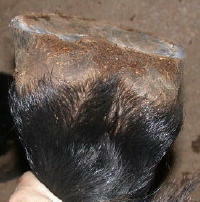 The photos in this progression essentially speak for themselves, and are used to illustrate the change in the laminar connection, as well as the angle of growth, once a correct trim is undertaken. 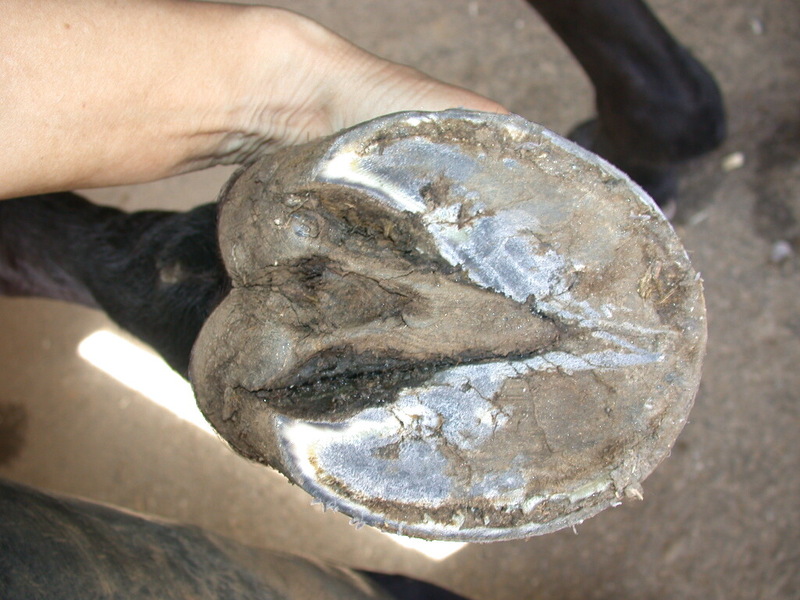 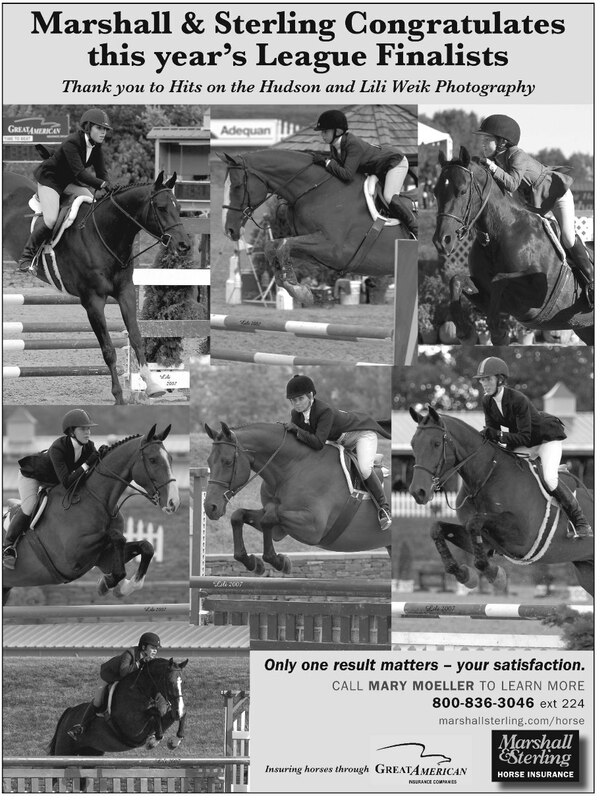 Equally obvious results are evident in horses that are already barefoot but were not correctly trimmed, and examples of these will be posted in future entries. 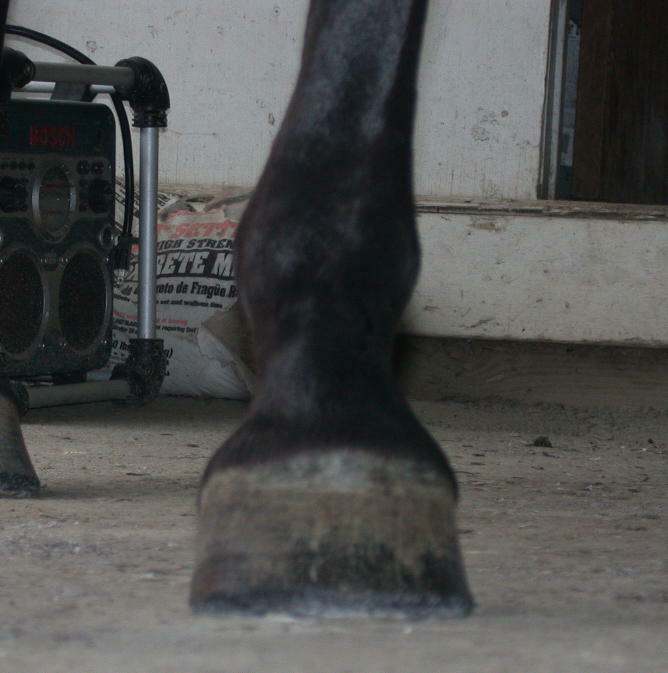 (Reader contributions as always are welcome). 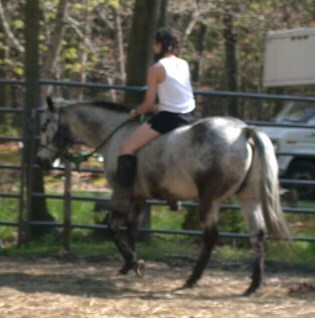 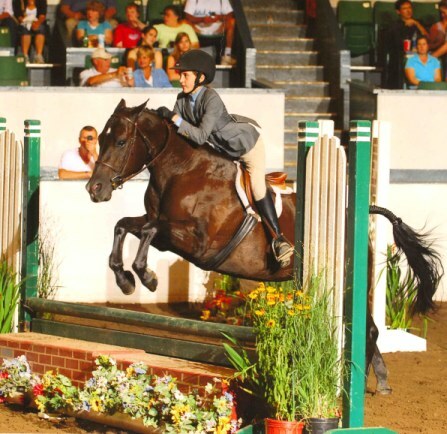 The horse was ‘rescued’ from a hack line by a new owner at this point. 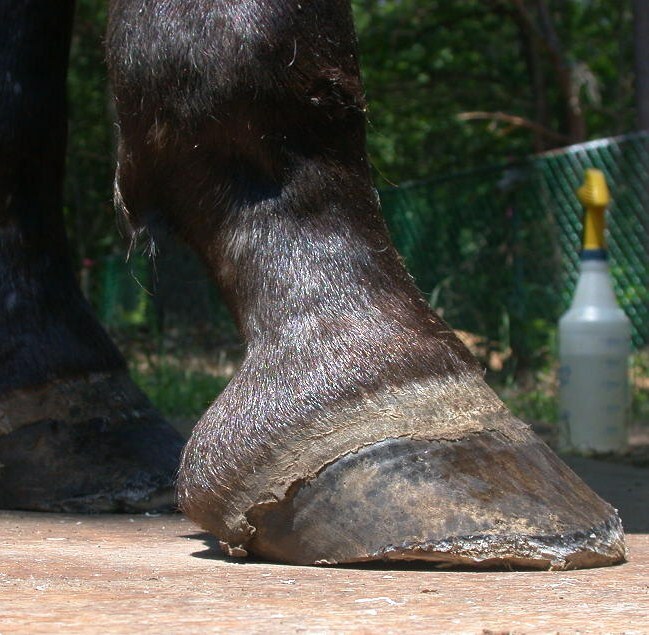 The horse was bruising himself with the shoes due to the overgrown feet. 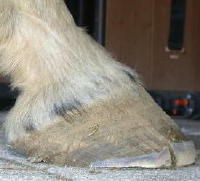 One month after the shoes were removed, the horse has largely self-trimmed its feet to this profile with the exception of the toe being rasped a little by hand. 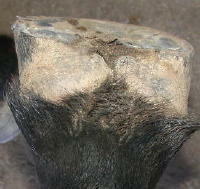 The new laminar growth has come in so much tighter (closer to the coffin bone) that the hoof wall has ‘separated’ away at the line of new growth and looks like a crack. 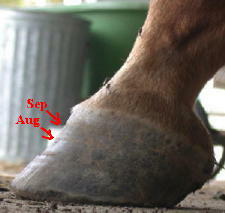 The second half of the new growth has come in at a more correct angle as the hoof started correcting itself. 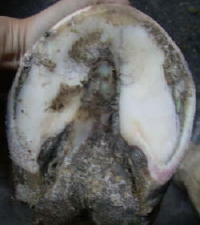 The new growth has progressed almost halfway down the hoof and continues to come in at a steeper angle, closer and tighter to the coffin bone. 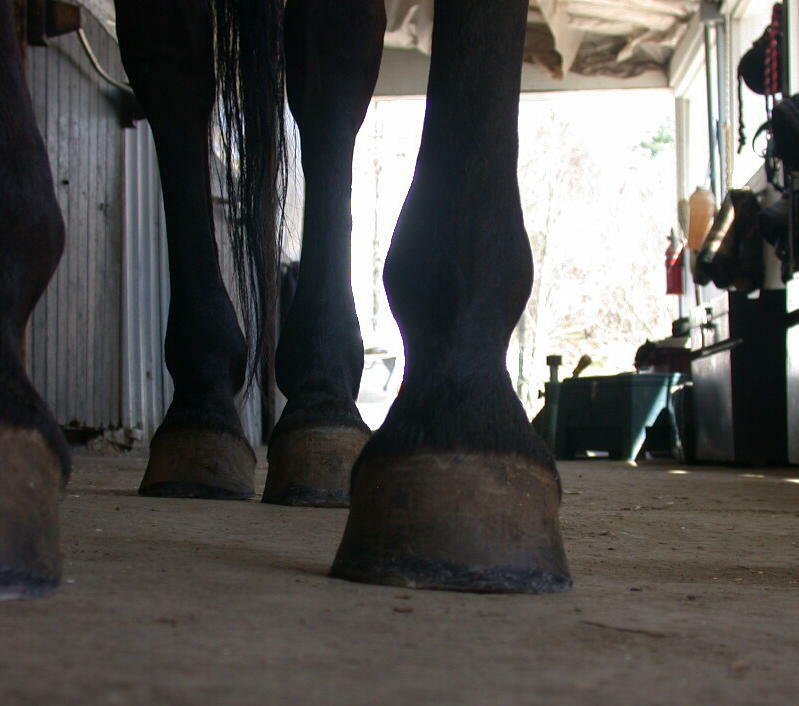 A small amount of old growth remains, projecting beyond the new growth. 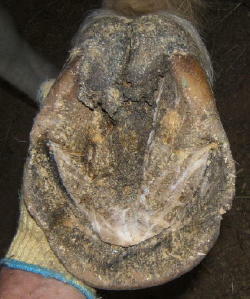 The growth is now all at the same angle and the ‘cracked’ hoof wall has almost grown out. 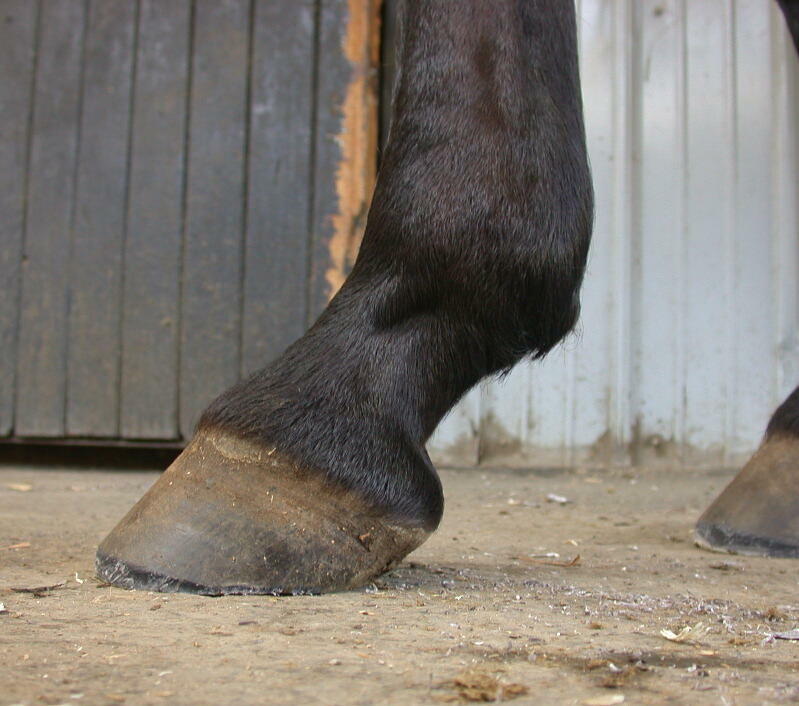 The pastern angle remains steep as a result of joint adaptation (from the long term incorrect hoof form visible in August), rather than heel pain.